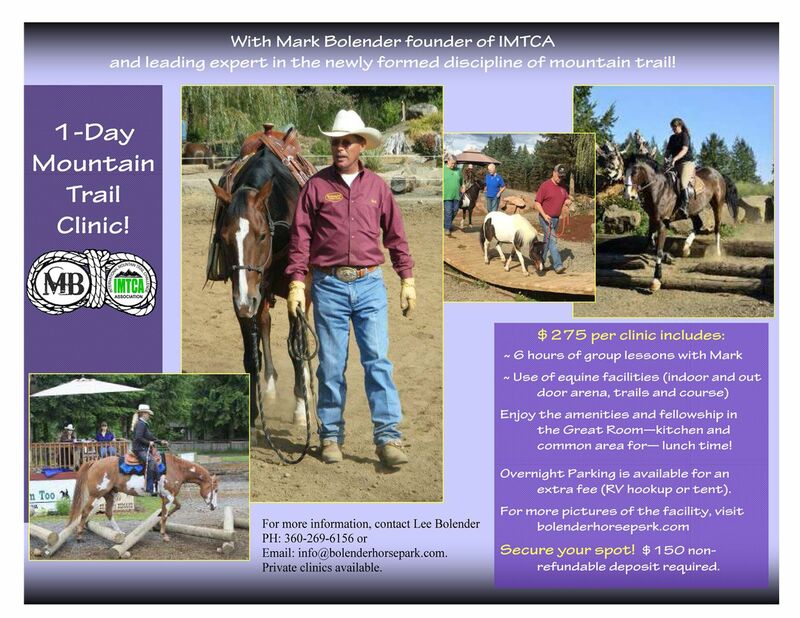 Come join us for our Mountain Trail Challenges at Bolender Horse Park! Our challenge calendar has updated for the 2018 season. 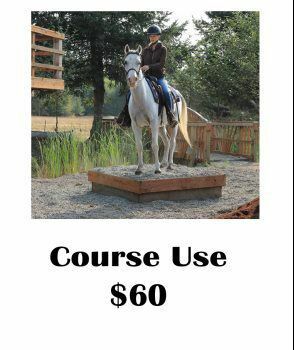 There are many classes for all levels, adult or youth riders, in-hand and riding, all breeds and disciplines. Group lessons available on the Saturday before the challenge. 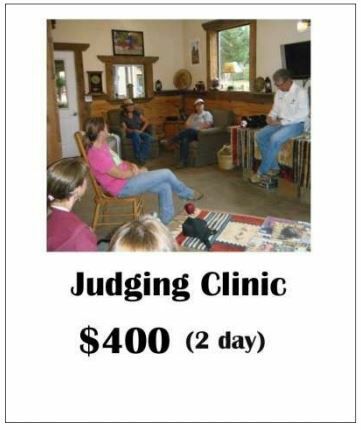 Experienced judges trained for Mountain Trail events. Get results the same day with scores posted the next day. Plenty of RV hookups and dry camping spots. Lots of fun for everyone! Call Lee today to sign up or fill out the registration packet below. 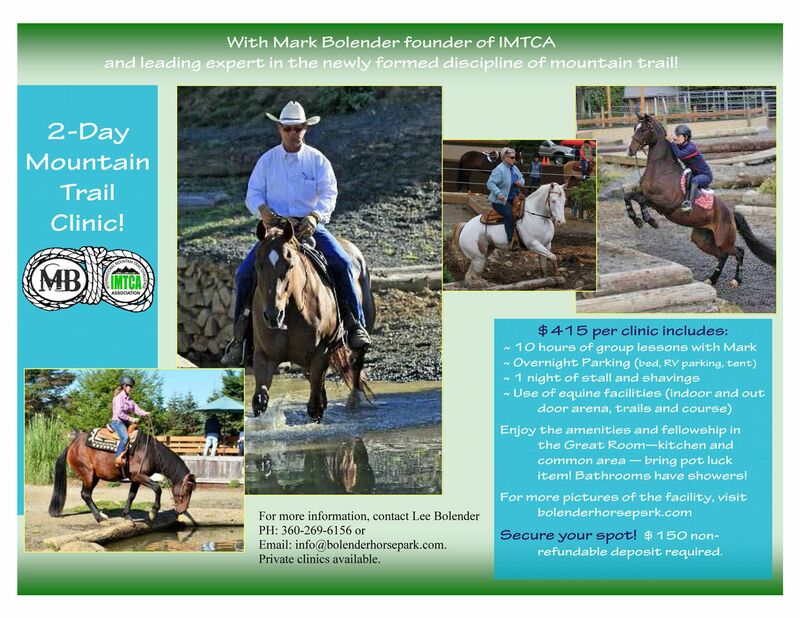 The three time Mountain Trail Champion and Master of Mountain Trail teaches you how to negotiate obstacles and instill Boldness and confidence in your horse. 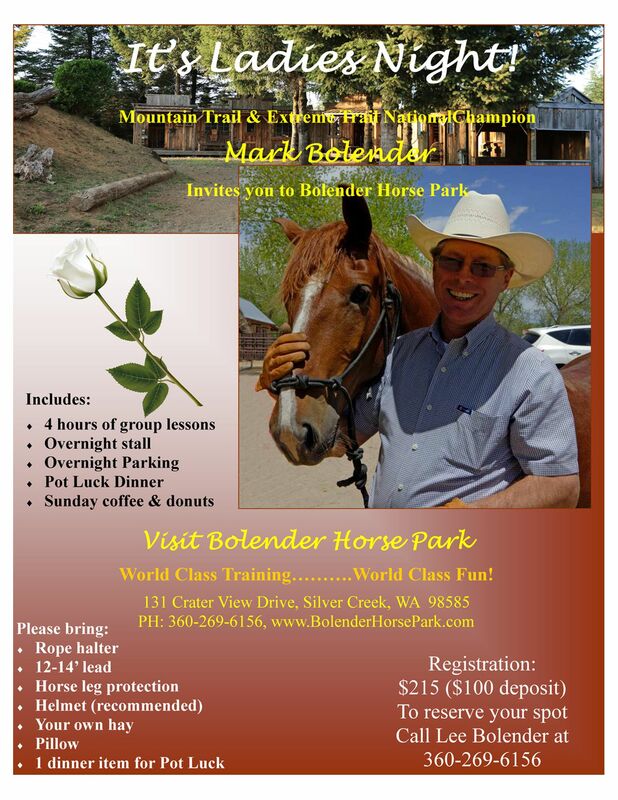 Come to Mark Bolender’s 2-Day or 3-Day Mountain Trail clinic on Unique Horsemanship at beautiful Bolender Horse Park and you will experience a new style and technique for working with your horse. 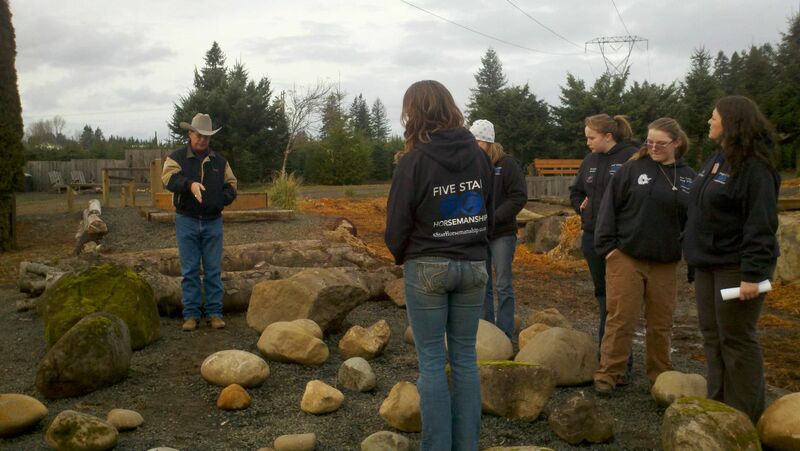 During these clinics you will work both in-hand and in-saddle through the arena with a variety of obstacles including things like a car wash, logs, puzzle, ball, tarps and more. 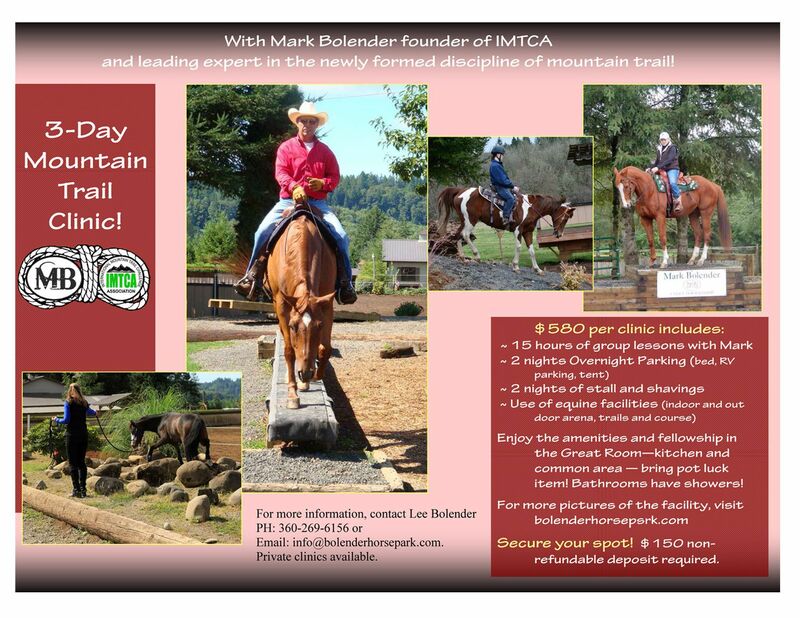 You will also work on the amazing course built and designed by Mark Bolender which offers a huge number of obstacles to work through with your horse. 1 Day, 2 Day or 3 Day Clinics: Same pricing and inclusions as the corresponding Clinics below. This is for riders who have achieved basic skills in Mountain Trail who are now ready to learn finesse while walking, trotting, gating, loping and cantering up to and through obstacles in a safe manner. These skills form the basis of the Extreme Mountain Trail discipline. 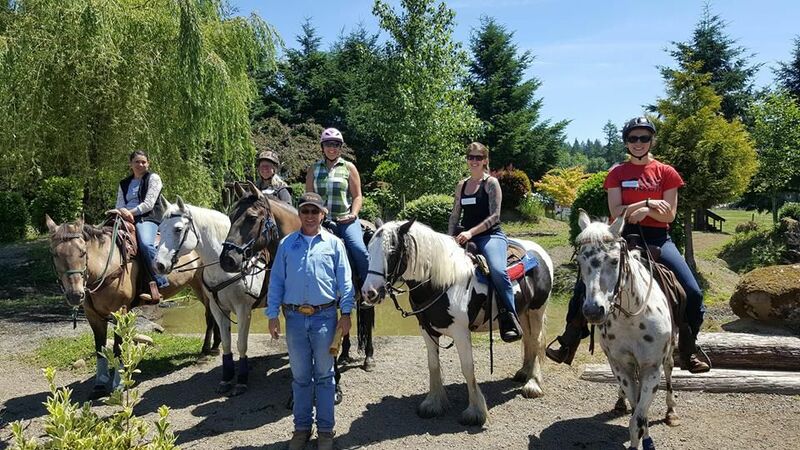 Ladies night is a fantastic opportunity to learn fun and challenging skills, build a stronger partnership with your horse, and have an all around great time with a group of women who share your equestrian passion. 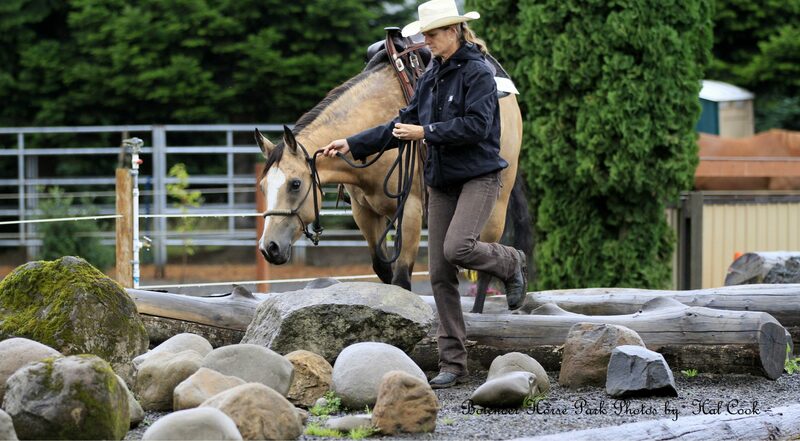 It starts with in-hand training with obstacles in the arena followed by a potluck dinner and wine (bring your favorite). 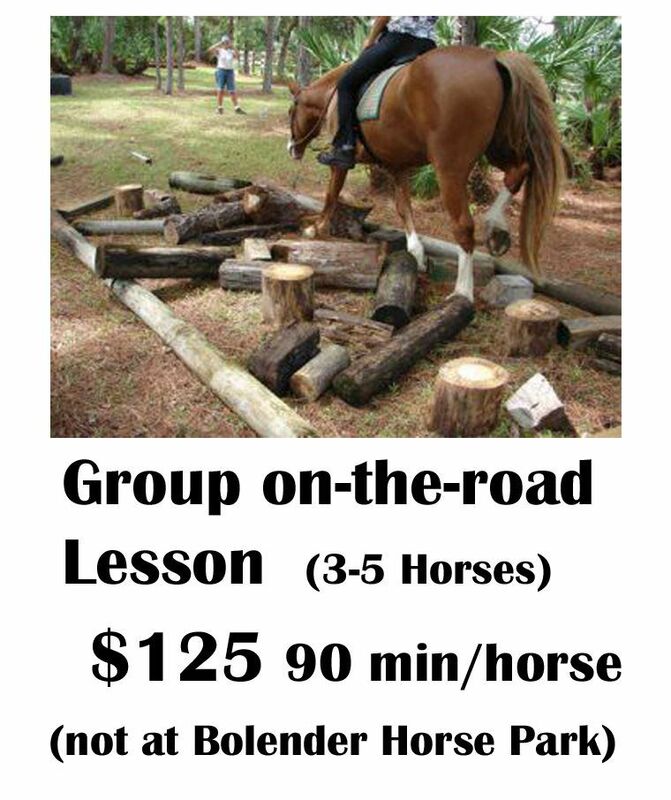 The next morning begins with danish and coffee followed by in-hand training on the obstacle course and ending with you riding your horse through the obstacles. 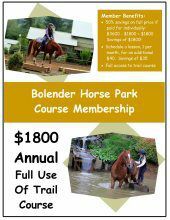 This event is LOTS of fun and is unique to Bolender Horse Park since we offer a friendly, family oriented community environment. 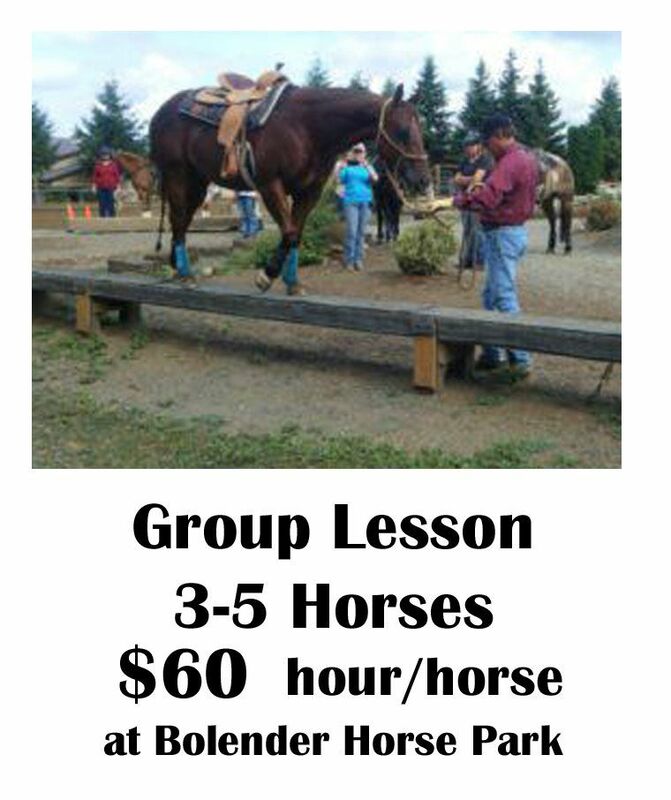 Come and enjoy this great fellowship with friends and you’ll be amazed how quickly your horse can learn how to do it! Private and group lessons will be available afterwards. You can schedule before you arrive or once you are here. Call and talk to Lee Bolender now to reserve your space at 360-269-6156 to register. Fond memories and laughter are included at no charge! $400 per person includes 12 hours of classroom and on-the-course instruction, study materials, certificate, 1 night lodging, coffee & danish and lunch both days. Learn how to judge for Mountain Trail and Extreme Trail according to rules of the IMTCA (International Mountain Trail Challenge Association). Classroom and course training are both included for a complete experience. A Bolender certificate will be awarded upon completion. Please make your own plans for dinners. 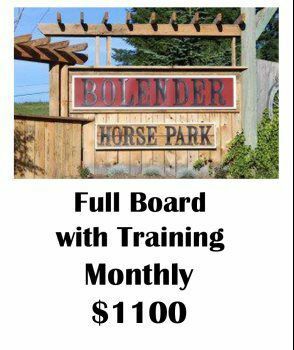 1-2 Horses $85 hour/horse; at Bolender Horse Park Check calendar below for available time and dates. 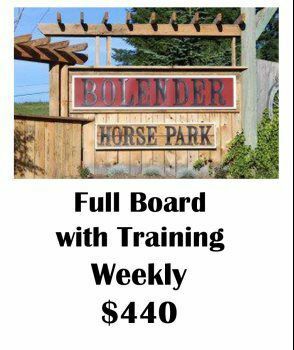 3-5 Horses $60 hour/horse; at Bolender Horse Park Check calendar below for available time and dates. 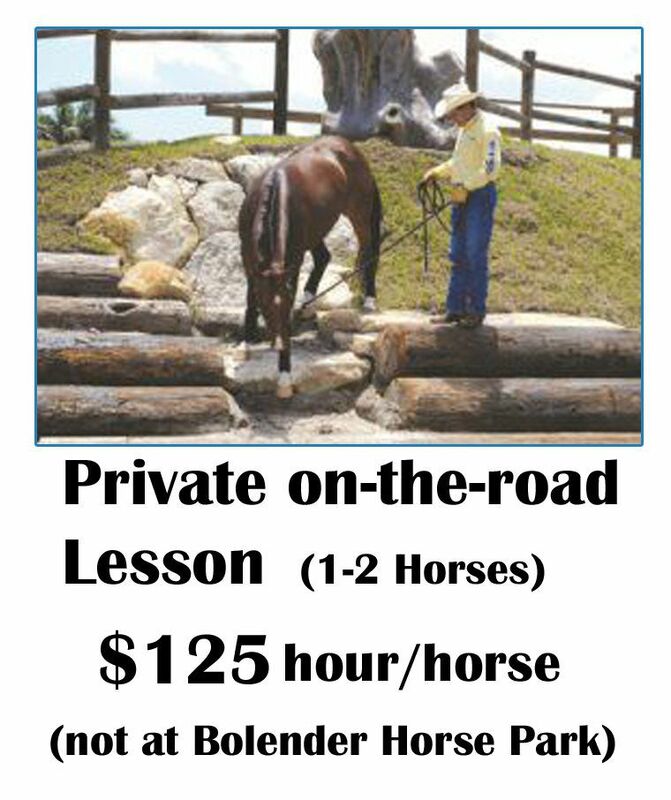 $60- Per day | Per Horse – Must have had at least one lesson or clinic with Mark in the past. 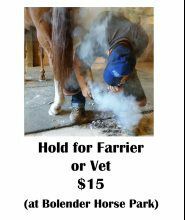 Extra charges may apply to horses with special needs, issues or problems and on an individual basis. Please discuss your individual situation with management. 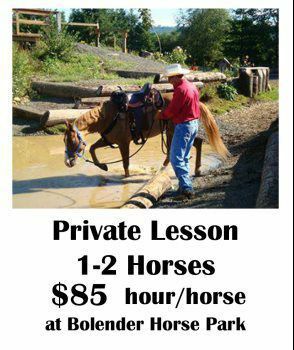 Must clean up after your horse on course, and surrounding areas. 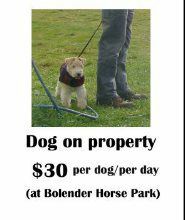 $30 per dog/per day Dogs must be on a leash at all times and you must clean up after your dog. No dogs allowed in the Great Room or near food concessions. Any day without an event scheduled is open for booking private Clinics/ Lessons/Ladies Night/ect except Mondays. Use this calendar to choose the date that works best for you. Be sure to select an alternate date just in case of conflict.